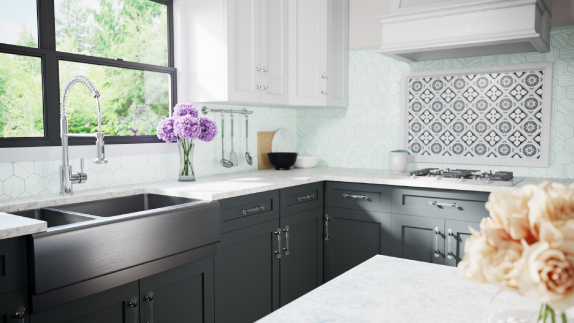 Apron sinks, also known as farmhouse sinks, are once again gaining popularity in the kitchen. 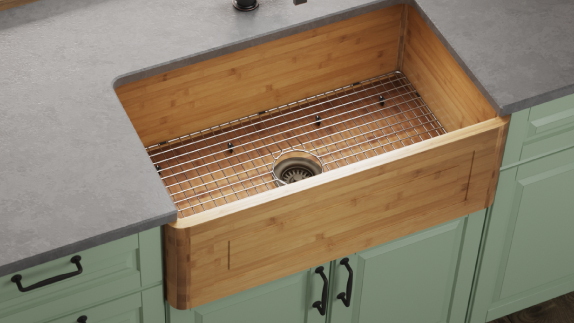 Originating in 17th-century England, the first apron kitchen sinks were filled with buckets of river or well water. 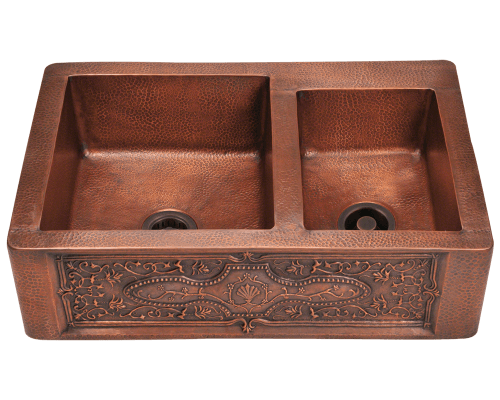 These sinks were purposely deep and drained without modern plumbing. Over a couple centuries they were refined and remained very popular into the early 20th-century. Their bold fronts distinguish them and reduce any reach-over strain during use. The first apron sinks were created of cast-iron overlaid with porcelain. 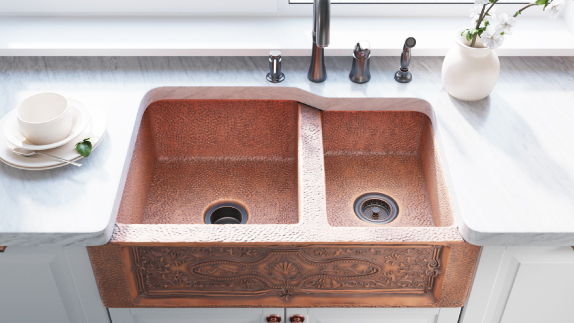 Later, fireclay sinks were added. 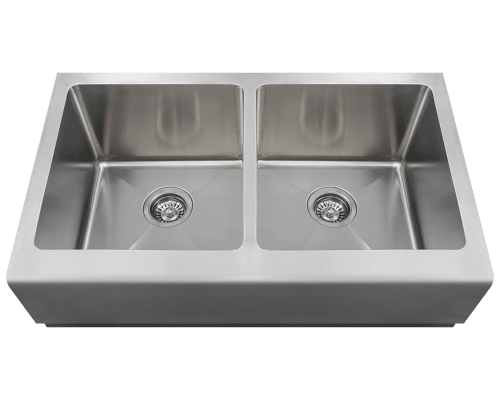 Today, stainless steel apron kitchen sinks are becoming popular as well as others made from a variety of materials. 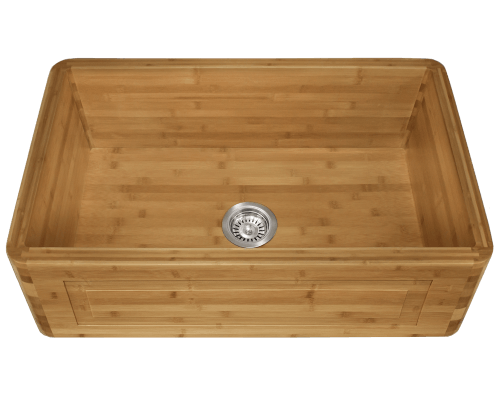 MR Direct offers premium 304-grade stainless steel apron sinks, pure-copper apron sinks, and their latest addition of bamboo apron sinks. 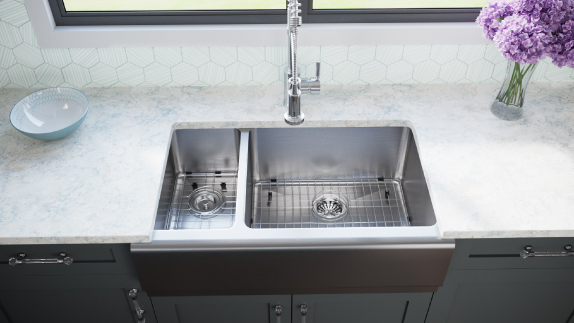 The installation of an apron-style sink is distinctive. 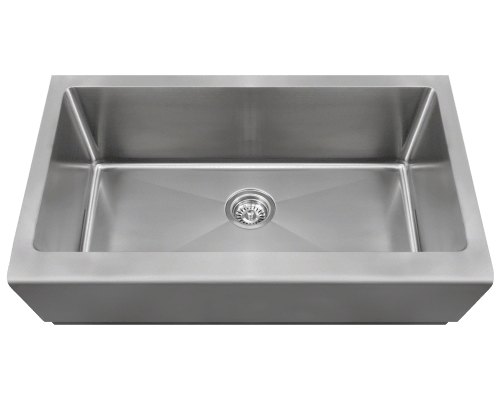 The unit is not suspended by its rim like a topmount, nor attached below the countertop like an undermount. Rather it is installed into the cabinet which has been cut and reinforced for support. The result is the striking display of its broad front panel jutting forward from the cabinetry.